Disclosure: This post is sponsored by Smuckers. All opinions are my own. Although much of our time and thoughts are consumed with getting ready for back to school, we are also trying to squeeze as much fun as we can out of the last week weeks of summer. 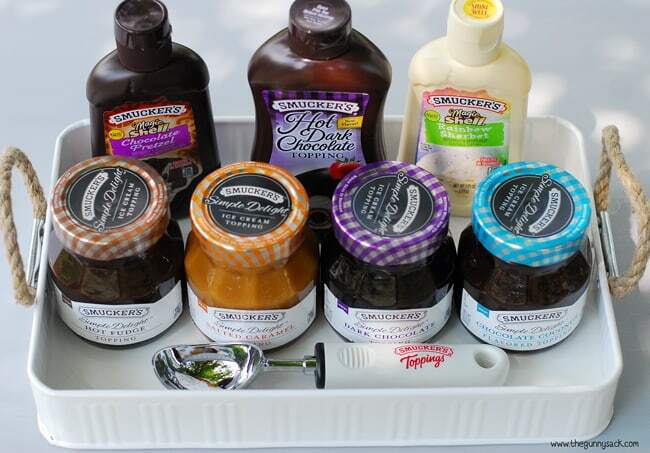 We’ve spent the last several days at the lake, going to parks, having picnics, going on walks and we even had an ice cream social with Smucker’s ice cream toppings (be sure to enter to win a “Top It Your Way” Smucker’s Kit below)! 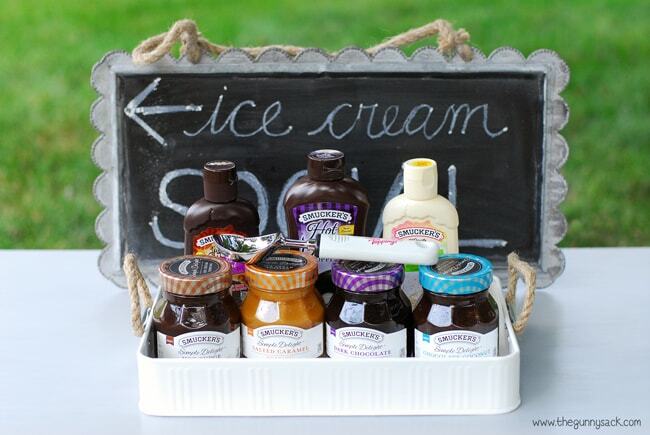 I wanted to share one of the fun ice cream social ideas with you. 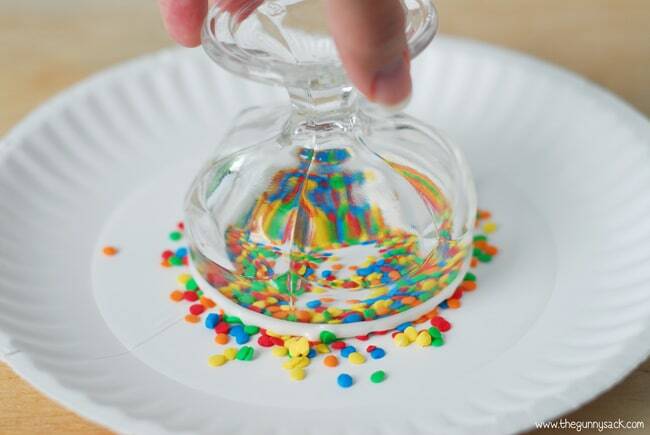 We ate our ice cream sundaes out of dishes with colorful sprinkles around the edge. These ice cream cups covered with sprinkles are so easy to make and they make a big impact on people of all ages. Who doesn’t love how cheerful sprinkles are? The adults think the cups are fun and the kids immediately ask if they can eat the sprinkles! 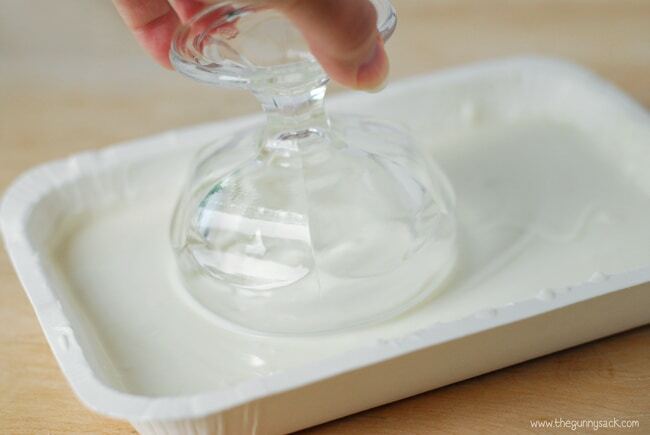 To decorate your dishes, just dip the rim of your ice cream sundae cups or bowls into melted white chocolate, almond bark or candy coating like CandiQuik. Allow the melted chocolate to harden for a few seconds and then gently press the rim onto a plate covered in sprinkles. Then, roll the outside edge in the sprinkles and add mores sprinkles to the bare spots by hand, if necessary. 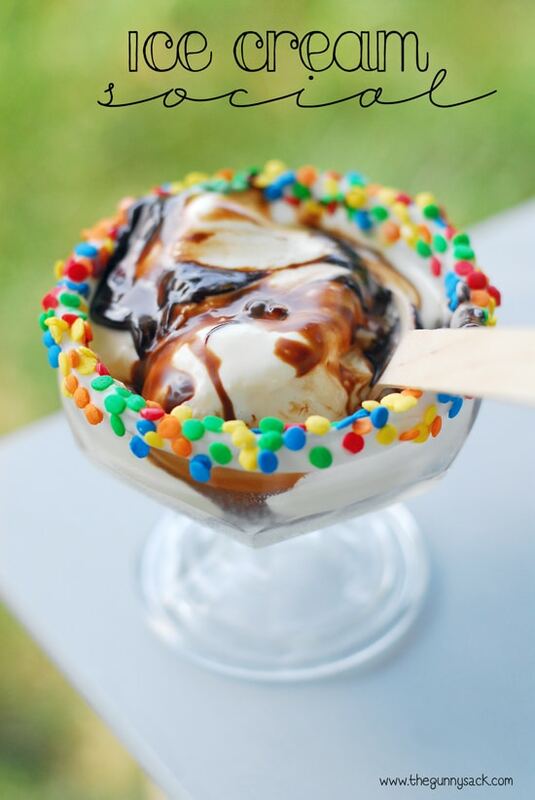 Hosting an ice cream social is easy to do. 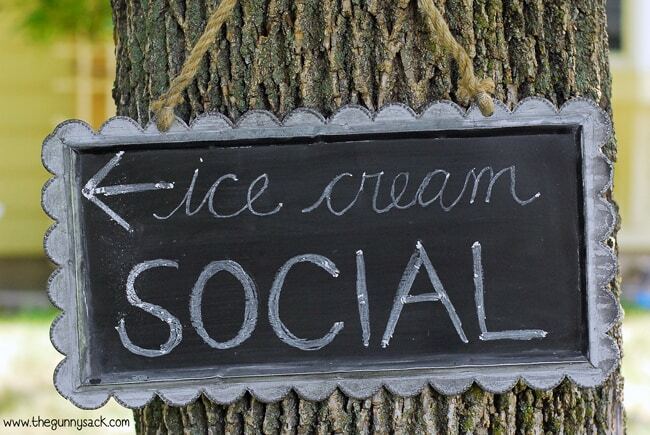 First, hang a chalkboard sign on a tree announcing your ice cream social. 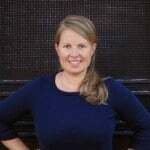 Here are a few tips for the chalkboard. Start by “seasoning” the chalkboard. Use the side of a piece of chalk to completely cover the chalkboard with chalk. Then, erase it and it is ready for writing. For more precise lettering, sharpen the tip of the piece of chalk. To get more vibrant chalk lettering, dip the chalk tip in water before writing on the chalkboard. The wet chalk will show up as it dries, so don’t worry if looks like it isn’t working when you first write a letter. Gather together all of your ice cream toppings on a tray. Here are all of the delicious, new, ice cream topping that Smucker’s sent to me: Smucker’s® Simple Delight Salted Caramel Topping, Smucker’s® Simple Delight Chocolate Coconut Flavored Topping, Smucker’s® Simple Delight Dark Chocolate Topping, Smucker’s® Simple Delight Hot Fudge Topping, Smucker’s® Magic Shell® Chocolate Pretzel Flavored Topping, Smucker’s® Magic Shell® Rainbow Sherbet Flavored Topping and Smucker’s® Microwavable Hot Dark Chocolate Topping! With this many choices, everyone is sure to find a favorite…or several favorites! 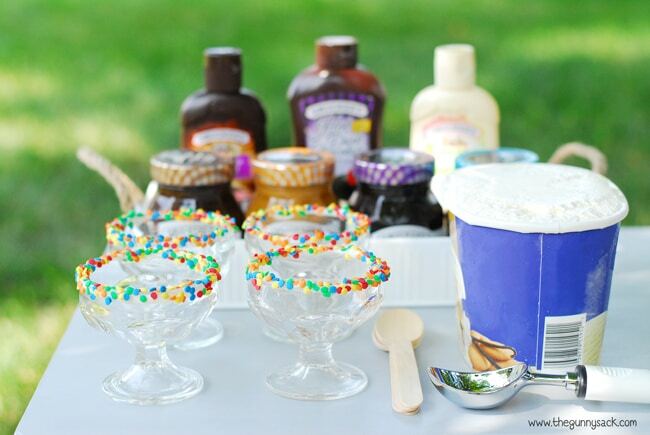 Set the sprinkles rimmed ice cream bowls, spoons, the toppings and the ice cream on a table outside. You can also include whipped cream, sprinkles, chopped nuts and candy as extra toppings. Everyone can add their favorite toppings to make their own personal creations. My kids love every Magic Shell topping we’ve ever tried! For me, my favorite is a toss up between the hot fudge and the salted caramel. 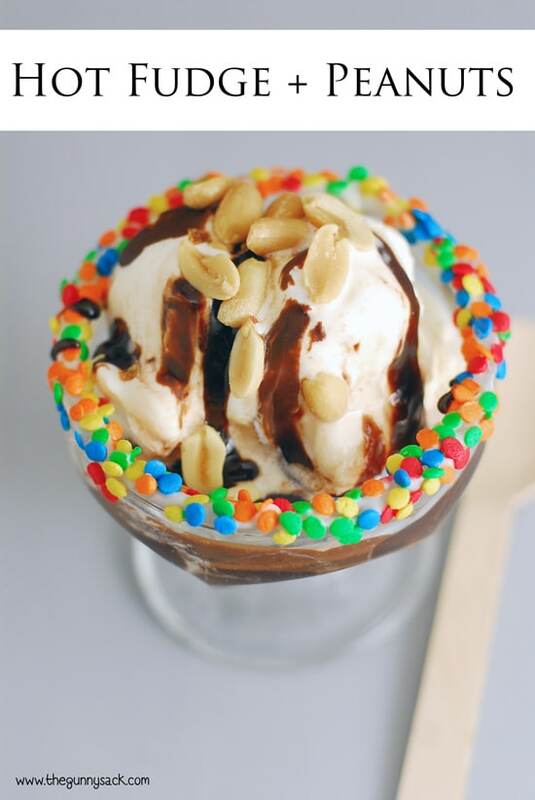 Brian’s favorite ice cream toppings are hot fudge with peanuts on top. It was so hot and humid, that the ice cream melted quickly. Most of the hot fudge ran off the top of the ice cream and pooled in the bowl, just waiting to be scooped up with a spoon! Zack’s ice cream sundae is the first photo in this post. He ate it so quickly that I asked him where his ice cream was. He just grinned and told me that he already finished it. 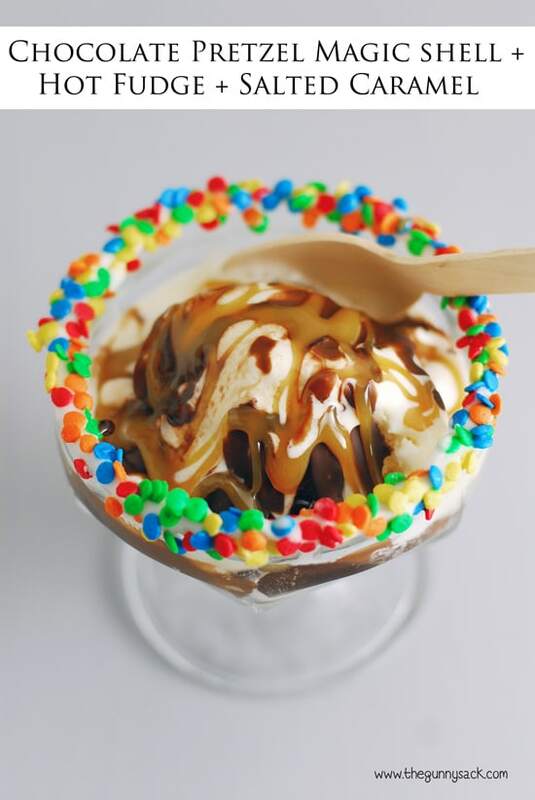 Vanessa added chocolate pretzel Magic Shell, hot fudge and salted caramel to her sundae. She said it was sooo good! I really like coconut, so I would like to try the chocolate coconut topping. 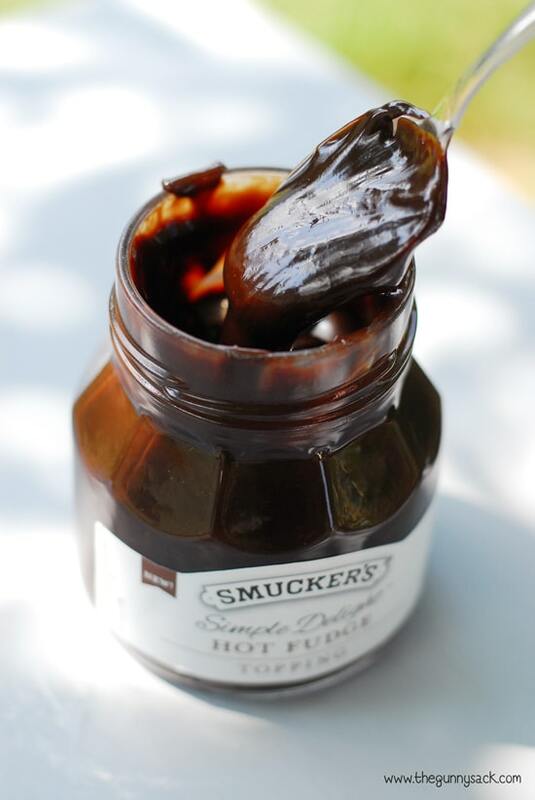 Smucker’s® Microwavable Hot Dark Chocolate Topping. Yum!!! The Smucker’s Magic Shell Chocolate Pretzel flavor topping is going to be SWEEETTT! love it! Yum, I’d love to try the Smucker’s® Magic Shell® Chocolate Pretzel Flavored Topping.